Greek-inspired, eco-friendly breakfast & lunch in a stylish space with chandeliers & exposed brick . 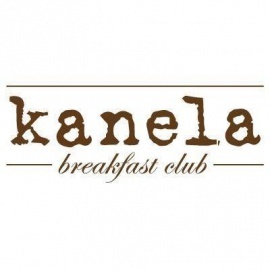 kanela [kuh-nel-uh] is a marvelous world bringing a local, organic, and flavorful approach to a Greek-inflected American breakfast + lunch menu reflecting our heritage as well as the origin of the name, which means cinnamon in greek, and which you will find in abundance on the menu. Our first location was in Lakeview and opened in 2010. In those 7 short years we've opened a location in Old Town, Wicker Park, Streeterville, Andersonville and opening soon in Ukrainian Village. Between these 6 locations, you're never far away from some of Chicago's finest breakfast & lunch dining.